Being with God involves complete vulnerability and acceptance. 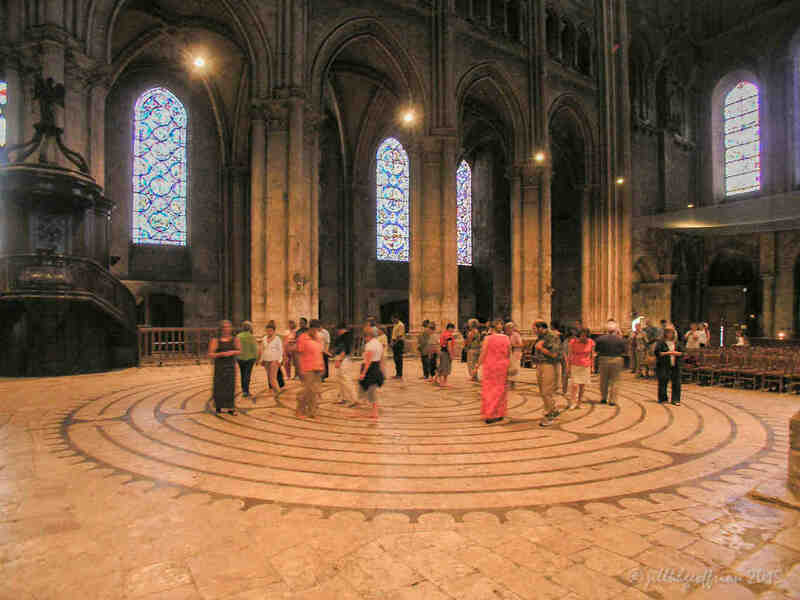 As I walk the Chartres labyrinth I look at Jesus holding Mary’s soul and I am reminded that God respects me (Jesus holds Mary in his cloak–in the middle ages one did not touch things considered holy with bare hands) and blesses me (Jesus’ right hand) just as I am (Mary is small and naked). Jesus, like Mary, finding myself in Your presence, I long to see You more clearly, and worship You. Imagine yourself in Mary’s place. Sense what it is like to be held and blessed by God in a close and personal way. What prayers are emerging in your heart, mind, body, and imagination? Pray them now. 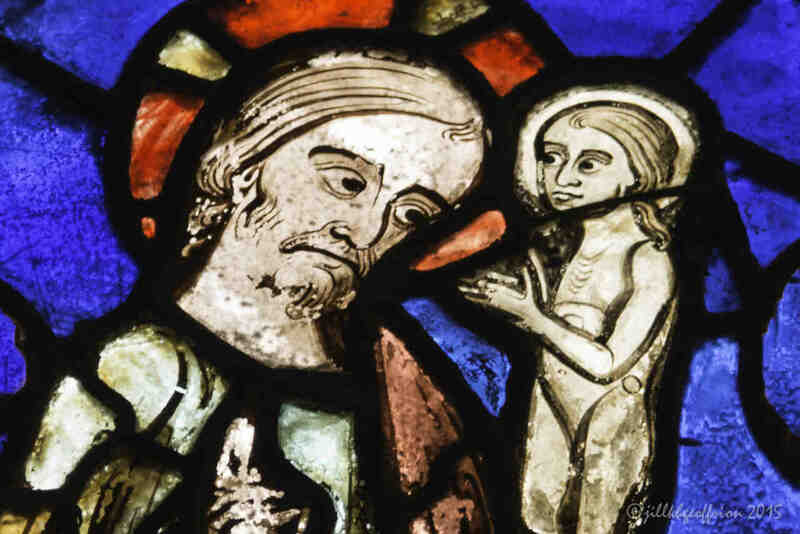 Mary’s soul being received by God in the window dedicated to Mary’s death and glorification. Two angels witness the scene, one with open hands and one with hands in a prayer position. This image is in center of the window, in the third medallion from the bottom.